In the new TV spot for 'Batman V Superman: Dawn of Justice' that dropped today we get a little more context for the whole "Tell me, do you bleed?...you will" thing that we previously heard in Batman's voiceover only. It comes after the Dark Knight tries to knock over the Man of Steel with the Batmobile and of course, Bats gets the worst of that exchange. We also get a closer, shinier look at Henry Cavill's muscular torso while Ben Affleck sounds pretty good in throaty Batman voice (sorry Christian Bale). Check out this short teaser. 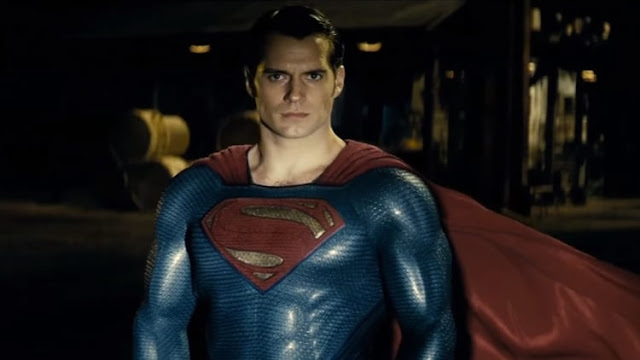 'Batman V Superman: Dawn of Justice" hits theaters on March 25, 2016.